Project commissioned by the Stedelijk Museum 's-Hertogenbosch as part of the three year art project Reinventing Happiness, with financial support from the Bank-Giro Lottery Fund, the Mondriaan Fund and the bkkc/province of Noord-Brabant. 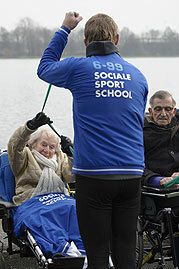 DEN BOSCH – The Social Gym combines a serious work-out with a social component – people doing sports take a very elderly wheelchair-user with them to boot camp. Wheelchairs being used as fitness apparatus… these boot camps have a surreal character! 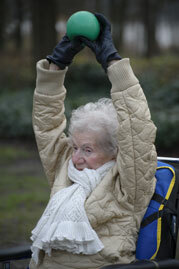 The exercises are a challenge for the sportspeople, and they are encouraged and supported by the elderly people who are simultaneously doing their own, lighter, exercises. 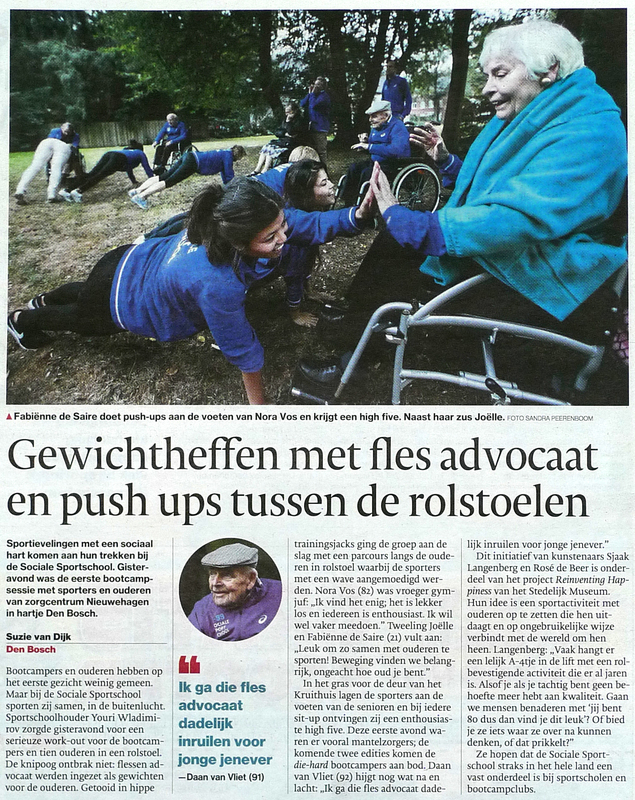 Successful boot-camp try-outs were organised in collaboration with Van Neysel and Brabantzorg (organisations for the elderly), and the gym Wladimirov Fitness & Wellness. These organisations, along with various other parties, are looking into ways to enable the Social Gym to build a more structural basis and for it to develop into a (national) platform linking up to numerous other sports school, boot camps and organisations for the elderly. The try-outs made it apparent that the Social Gym can also be an interesting form of company fitness. The Social Gym also has a special trajectory which can be followed via an instructional video for exercises with a wheelchair. In this way, care for someone at home can be combined with spending an hour 'at the gym'. 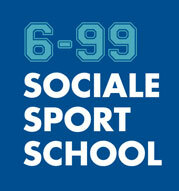 The Social Gym developed out of an investigation into the work of volunteers in the care system. Some volunteers caring for the elderly are obstructing any new developments, and it is difficult to confront them about this because they are 'doing good deeds'. Furthermore, volunteer work in care for the elderly has become more and more institutionalised through rules and contracts. Sjaak Langenberg & Rosé de Beer's conclusion was that the system should be viewed in broader terms than simply 'care' and 'voluntary work'. By providing a serious workout and simultaneously generating an alternative image of the elderly, new connections are created between unexpected partners. People working out who would not normally sign up for voluntary work have joined the Social Gym – "Normally I only go into a care home when it's used as a polling station during the election," said one of the sportspersons participating.